We are excited to share our California Wine Club review. We love wine. We are happy drinking French wine, Spanish wine, and even Georgian wine but our passion is California wine. We wanted to see if this wine club would deliver on their name. California is a big diverse wine region. There are many great producers spread across the state. Frankly, there are also some not so great wine producers. We want a wine club that finds quality wines at a great price. In the case of the California Wine Club, we want to see great California wines at reasonable prices. What we didn't want to see was no name bulk wine with pretty labels. The most popular club from the California wine club is called the Premier Series. This is a great option if you enjoy small production wines from boutique California wineries. We would recommend this to anyone interested in learning about the wide range of small producers in California. It's reasonably priced and the wine quality is very good. You get two bottles a month and can select whether you want a mix (red and white) or two of the same whites or reds. 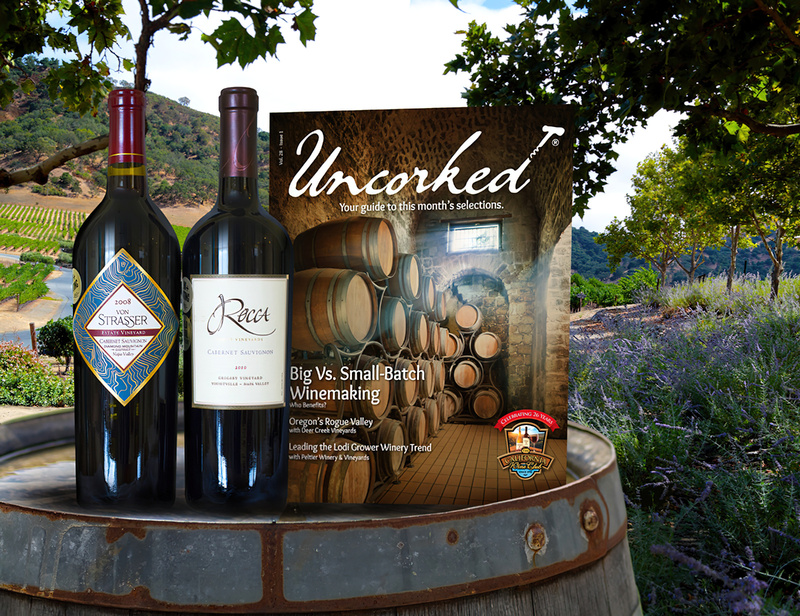 The shipment comes with the Uncorked guide. 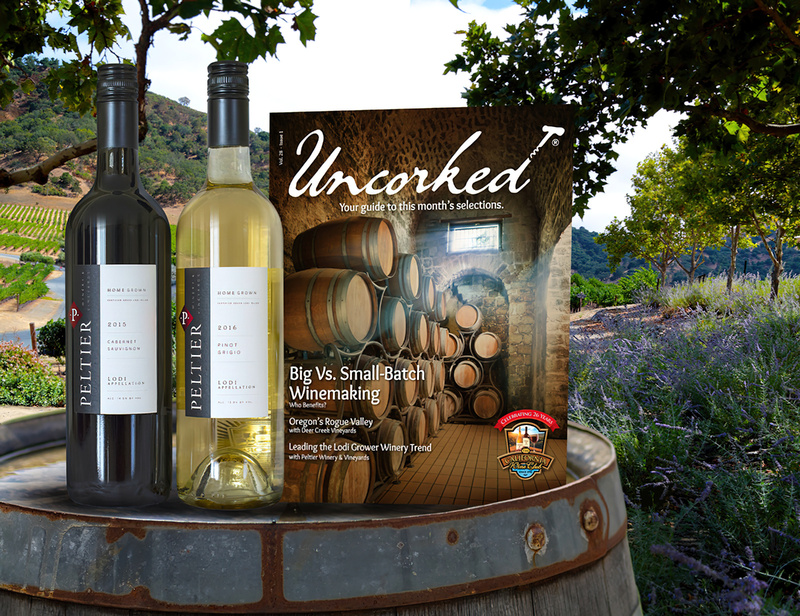 This gives you great insights into the winery plus tasting notes and pairing suggestions for the wines. Wine is always more fun when you know the story behind it! The International Series - $72 + Shipping. These are handpicked wines from producers in both the Old and New world. This a great option in combination with the Premier Series. You will experience an amazing range of varietals and styles. The Pacific Northwest Series - $77 + Shipping. Wines from Oregon and Washington have their own signature character. If you love Pinot Noir from the Willamette Valley or Cabernet Sauvignon from Horse Heaven Hills AVA, this is the club for you. The Signature Series - $134 + Shipping. You can select 2, 3, or 4 bottles for delivery each month. The shipments are mostly red wine and the pedigree of the wine is top shelf. These are wines that received exceptionally high scores and rave reviews. The Aged Cabernet Club - $231(average) + Shipping. There is no fixed price for this club. This is the California Wine Club for when you have truly arrived. These are the Napa Cabs you've heard about. The cult wines that express the very best of California's vineyards. The California Wine Club has what they call their "love it guarantee". Tell them if you are unhappy with any bottle you receive and they will either ship you a new bottle or refund your money. It doesn't get much better than that! We tested out their customer services via the online chat and via email. We were happy with the responsiveness in both cases. They were quick to get back to us with answers. We like the club's website. 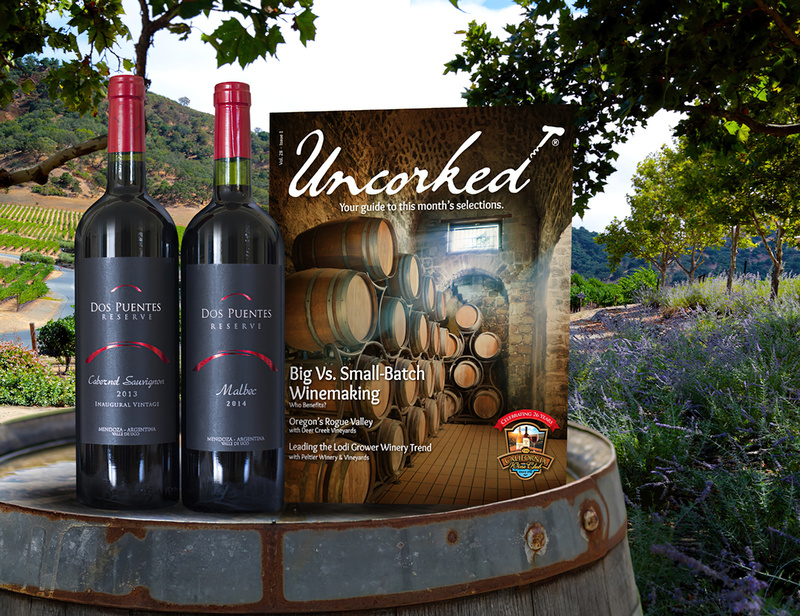 It is easy to navigate and there are some nice features like the Uncorked blog. We think you will enjoy the ability to go back and re-order wines you loved from your club shipments. The shipping is only 1 cent when you order six or more bottles. For a list of things to consider before joining a wine club, check out our guide to selecting the right club. We received our shipment of Premier Series wines. The shipment arrived promptly and the package was in good shape. The shipment included one bottle of red and one white from the same California producer, Shannon Ridge in Lake County. We checked the pricing and it seems fair. The bottles were in the $20 range when we did our check, so that is consistent with what the club is charging.  California Wine Club Review | Who is this club right for? The California Wine Club can appeal to a number of different wine lovers because they offer a number of different clubs. We think the premier series is great for you if you want to be introduced to a number of boutique wineries in California. The club is a great way to discover wines you probably won't find at the store. The international and Pacific Northwest clubs are perfect if you are interested in expanding your palate and learning about new regions. The Signature and Aged Cabernet clubs are for very serious wine lovers. These clubs cater to wine consumers who are used to paying for premium wines and probably will not appeal to everyone. California Wine Club Review | How do I order? You can order through this link. We will also keep the red buttons updated with the latest deals from the California Wine Club. We hope you found our California Wine Club review helpful. 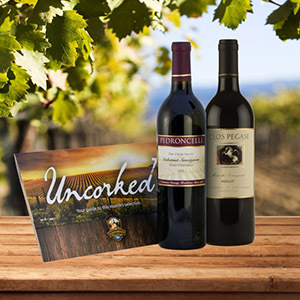 Have you tried the California Wine Club? Tell us about your experiences below.